There’s sure to be a deluge of tablets coming out of this year’s IFA show in Berlin. I know I’ve written about the Samsung Galaxy approximately 8,000 times in the past few weeks! So, here’s another: the Viewsonic ViewPad 7. 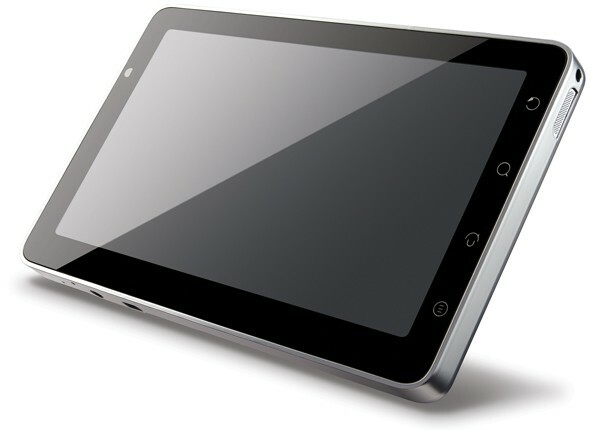 She’s an Android-based tablet, as so many are these days, and she has a 7-inch, 800-480 display. Why are these things popular again? All that, built around a 600 MHz ARM processor. So many tablets… it’s like that old Conan O’Brien bit, so many copper pots!